Probably many of us have met with problems such as: delete / modify / overwrite the file, hard drive formatting, operating system malfunction, etc., which ultimately led to the same result: try to remember, where there is at least some saved version of the file. To avoid such problems it is recommended to backup files (backup) to another media. Now you have to wonder what exactly to backup: the database, or content, and someone backups all files and scripts as well. Next you need to decide how often to make backups, you need to create the time plan: every day, every other day, once a week or once a month. After that you need to understand the destination for the backups: a local server, a remote FTP or a network resource. After selecting the media for backups, you will need to determine the type of backup. There are several types: full, incremental, and differential. Type of backup, of course, depends on the volume and importance of the data. However, the first backup is always full - a way to secure all the data. Later, a different type of backup is performed. Full backup. If the backup data is not too much, it is possible to perform a full backup every time. 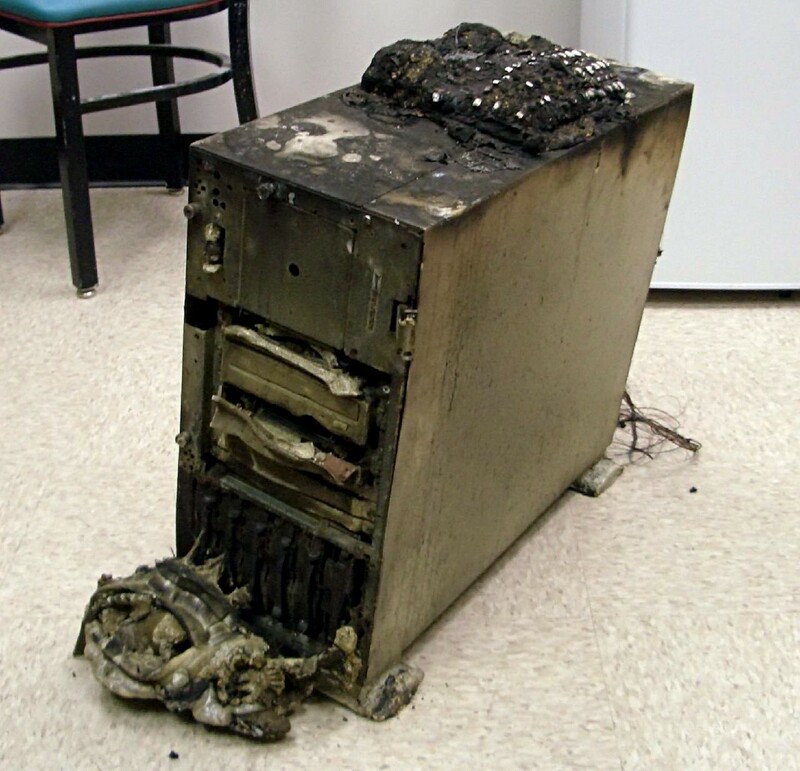 This type of backup can quickly restore lost or damaged files. If the amount of redundant data is large and change or add was done only to some files, it is reasonable to select an incremental or differential backup in which only changes are copied. Incremental backups can be used when it is not necessary to restore the previous version of the file. When copied files are placed in the same folder where the full backup has been saved, so the changed files are replaced. Incremental backup (as well as data compression) is also useful for backups to FTP-server to save traffic. A differential backup, on the contrary, will be useful for those who need multiple versions of the same file. Changed files will be stored in a folder separated from the full backup. This type of backup for Oracle databases configured via rsync utility. Also there is a mixed backup, which consists of a full backup, followed by a certain (pre-specified) number of differential backups. Once the desired number of backups is reached, the whole cycle is repeated, beginning with the full backup. We should not forget that the backup is very important issue is to choose of suitable media rotation scheme. Rotation - a policy for which the backups were done. How often do we do a backup, how long we will store your backups? All of this is described by the rotation policy. Rotation Scheme backup is divided into 5 types: one-time backup, simple rotation, the method of "grandfather, father, son," "Tower of Hanoi" and "10 sets." One-time backup - Administrator makes up manually. Usually it dose a full backup of the data. A simple rotation - the media set used cyclically. For example, the tape 5 for every day of the week. On Friday, we perform a full backup of the data, and in the rest of the week incremental. "Grandfather, father, son," (GFS) - the scheme has a hierarchical structure, and involves the use of a set of three sets of media. 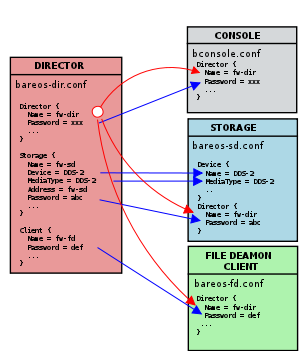 Once a week is a full copy of the computer disc ("father"), carried out on a daily basis as incremental (or differential) backup ("son"). Additionally, once a month is carried out another full backup ("Grandfather"). The composition of the daily and weekly set constant. Thus, compared with a simple rotation in the archive contains only the last monthly copy plus weekly and daily backups. The disadvantage of this scheme is that the file includes only data available at the end of the month, as well as the deterioration of media. "Tower of Hanoi" - the scheme is designed to address some of the shortcomings of the circuit and a simple rotation and the rotation, "Grandfather, father, son." The scheme is based on the use of multiple media sets. Each kit is designed for weekly backup, as in the scheme of simple rotation, but without exception, full backups. In other words, a separate set includes a carrier with a full copy of the weekly and carriers with daily incremental (differential) copies. The specific problem of the circuit "Tower of Hanoi" – is its higher complexity than other schemes. "10 sets" - a method designed for 10 sets of carriers. Period of 40 weeks divided into ten cycles. During the cycle, for each set of a fixed day of the week. After a four-week cycle is carried dialing shift. That is, in the first cycle for Monday posted a set of N1, Tuesday's N2, Wednesdays N3 and for the environment, etc. In the second cycle will be responsible for Monday set N2, for Tuesday N3, Thursday N4, etc. of the medium. This scheme allows to evenly distribute the load between carriers, but due to its complexity, is almost never used.